Quince, wine & ginger jelly is a clear, bright and sweet jelly, rich in fruit and full of flavor. It pairs perfectly with any cheese plate, particular with hard sheep's milk cheese or with cold meat plates. Every single jar is handmade, from cooking to bottling and packed with care. There are no added flavoring or additives. All fruits are of limited quantities, are grown locally, and picked at the right time to maintain its flavors. Foie gras with fig & plum chutney is the perfect plate for adding some luxury to your feast dinner. This intensely fatty food matches wonderfully also with our quince, wine & ginger paste. Plain toasted brioche is the best bread option. We prepare beautifully presented gift boxes in different sizes. Just choose from our range of gourmet preserves & jellies, artisanal honey, chutneys and pickles, herbal teas and kitchenware. Perfect gift idea for any food lover. All our products are of limited quantities, handmade and prepared with care from cooking to bottling and packaging. There are no artificial colors, added flavoring or additives. 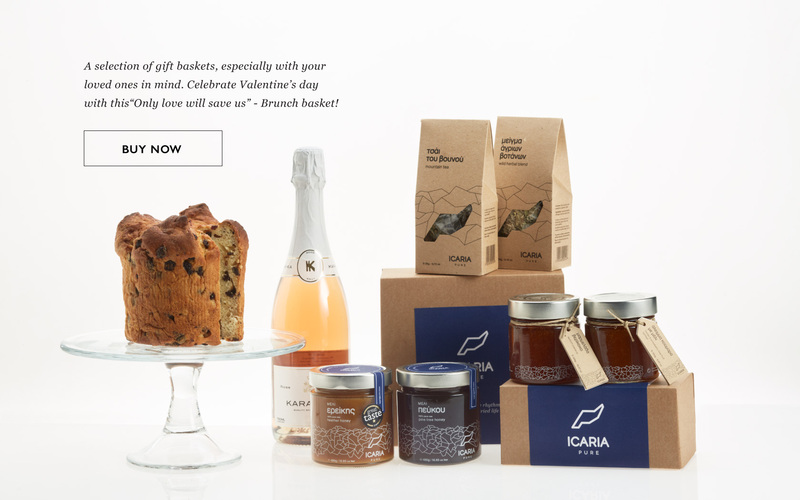 Artisanal honey, the finest herbs, mountain tea, a special selection of preserves and chutneys, pickled vegetable or greens in brine, kitchenware and gift boxes, all here for you to explore and enjoy. Ikaria is a Greek Aegean island in the far east of the Mediterranean, one of the few places in the world where people lead healthy, active lives past the age of 100. The island, also spelled Icaria, is named after Icarus, the son of Daedalus the young man in Greek mythology who fled from Crete, flew too close to the sun by means of wax wings and fell into the sea close to Ikaria. A collection of recipes from Ikaria island as well as from all different cultures, suitable for every occasion. From local cuisine or seasonal options to family favorites and feast menus, a wide selection to browse and get inspired. that reflect the special character of this Greek island. 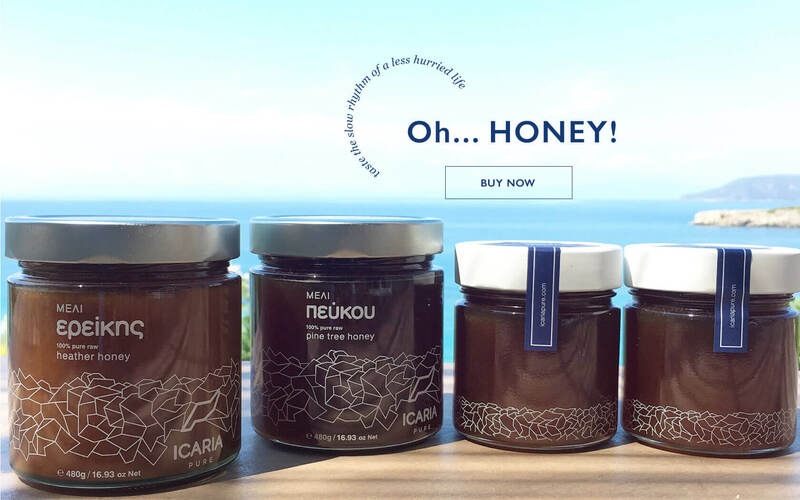 We are purveyors of supreme quality honeys, preserves and jellies, chutneys & pickles, rare and wild herbs all coming from the beautiful, remote and unspoilt Aegean island of Ikaria. ICARIA PURE is supporting the island's relaxed rhythm that results a happier, less complicated and unhurried life. Our philosophy is based on Ikaria's lifestyle which is about a different perception of time urgency, slow eating, community spirit, simplify our lives and having fun with friends and family. Because of the island's remoteness and its residents approach which has nothing to do with industrialization and mass production, the island has been left largely undisturbed by the outside world. This means that the core ingredients of our foods -the soil, water and air- remain unspoilt and pure. We’ve used our local knowledge to find passionate beekeepers, devoted farmers and the finest local women's co-operative run business with years of experience so that almost everything is done by hand and with love. We support island farming, cultivation of endemic species and an ethical approach to the flora and fauna. 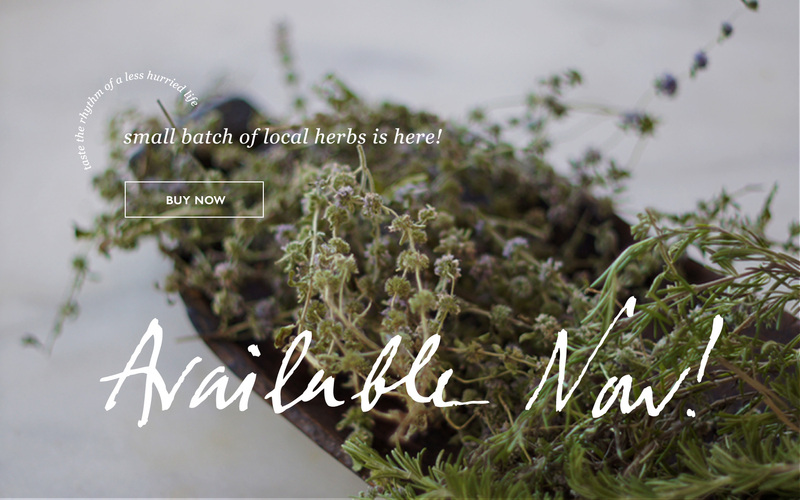 We only produce a limited amount of quantities, working only with what nature and our small farming units provide. We only use natural ingredients of the highest quality in our products. All our herbs, fruits and vegetables used are grown locally and seasonally, handpicked at the right time to maintain flavours. There are no artificial colours, added flavoring or additives. From cooking to bottling and packaging everything is done with the utmost care. We hope ICARIA PURE will inspire people to embrace a different outlook on enjoying food and life.